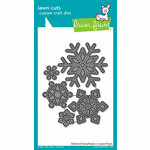 Create beautiful Christmas cards and scrapbook pages with the Lawn Fawn Scripty Joy Lawn Cuts Die. Designed to cut the word "Joy", it is ideal for crafting inspirational notes. This die is made of high-quality steel for cutting through most paper to help you create impressive projects. Approximate die measurement: 1.5" x 2.5"
This die is not only great quality, but also perfect for holiday cards! Word comes out intact and not too thin. I would buy this brand again. 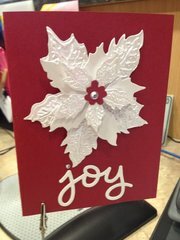 LOVE the "joy" die cut! 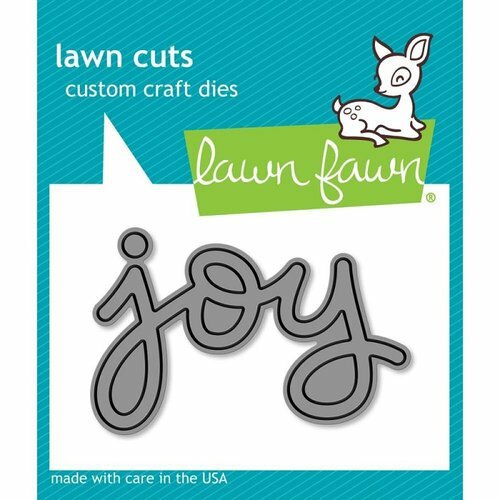 This darling die cut by Lawn Cuts is perfect! 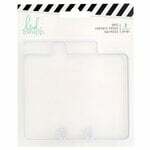 It cuts like butter and is the perfect accent to my cards and scrapbook layouts. "Scatter joy" is my mantra and so I HAD to get it! You won't be disappointed! I only wish I found it earlier. 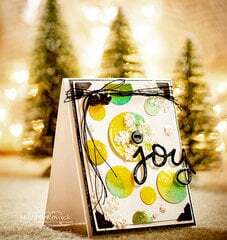 Used in this card: Christmas Joy! I like the size of this die and have bought others the same size. 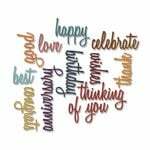 I use them for Bible Journaling and they work nicely on pages! Wish there were more Christian Words singular like this. I have a Sizzix Big Shot. Shipments from here come very quickly!! This is a cute little die and I've already used it to make about 55 of them!! Another big work, love it! I like the word dies! 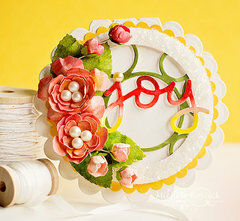 This one is a very nice size to use on my cards. Thank you for having these dies. I got both the joy and happy and they are fantastic. CUT beautifully and layer up great. perfect size and cutting. Now, one of my most used dies! I love this die It is a good size for my cards. 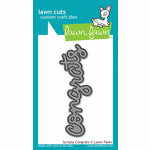 Can't beat Lawn Fawn! Great price too!